We want your talent, creativity and positive energy to help make MyData 2018 great, again. By volunteering you can be at the very centre of this exciting movement, make new friends and gain hands-on experience from organising a large international, multi-day conference. Volunteers who are active in the run-up to the conference get a free conference pass! See the short descriptions of the volunteer teams here. “Talkoot” is a Finnish word for getting things done together while enjoying good company. Talkoot are co-creation spurts. We invite volunteers to gather together with the core team to work on pre-defined topics, for example website testing, writing, and ideating side events. 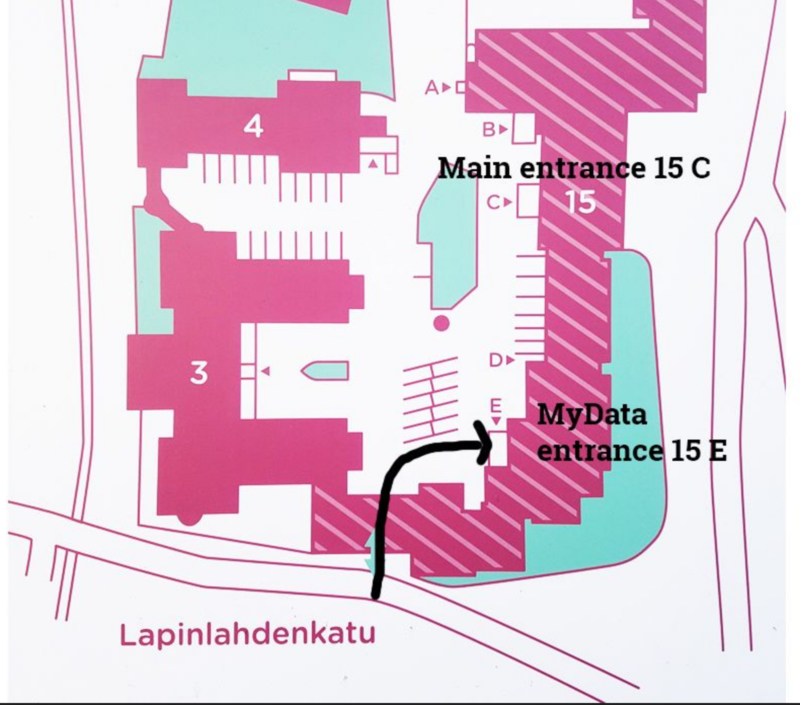 Find the door 15 E from the inner yard and call the number attached on the door. You don’t need to register – just join. If you participate remotely, ping us on Slack* an hour earlier so that we know to prepare. *If not a member yet, follow the instructions here.